Today we're excited to share another recipe made with the fresh produce from Origin's Farm, just in time for the start of fall. These warm, savory and slightly sweet butternut squash waffles will fill up your house with all those classic autumn aromas. We've become hooked on the fresh eggs from Origin's farm, so a few weeks ago when I picked up some butternut squash available at their market stand, I knew waffles would soon be in our future. Incorporating fresh, seasonal ingredients into baked goods like waffles, pancakes and muffins can be a simple way to bring out those fall flavors and kick your regular weekend baking up a notch. This recipe could also work well with fresh acorn squash, sweet potatoes or pumpkins for different flavor variations. 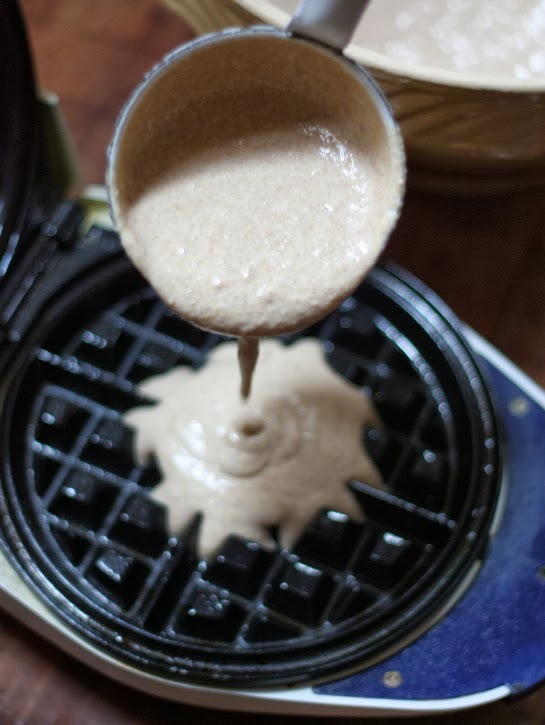 Turn on your waffle iron allowing it to heat up while making the waffle batter. 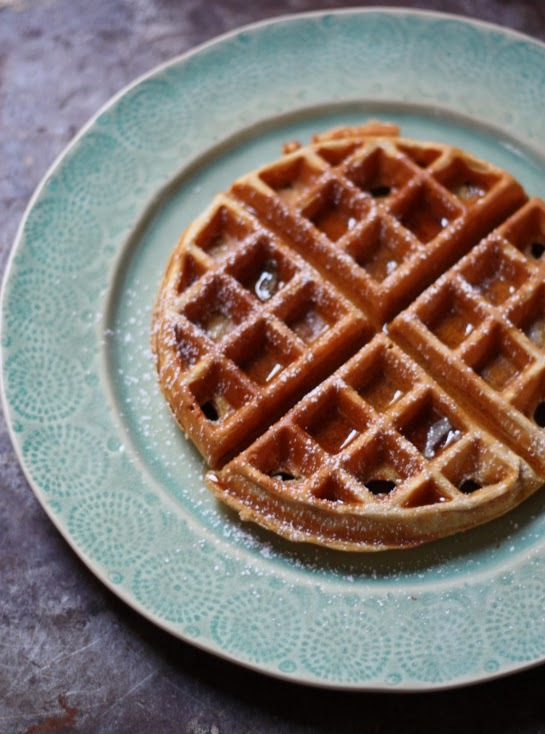 The batter is made up of a classic waffle base and a butternut squash puree. To make the butternut squash puree, blend the roasted butternut squash*, buttermilk, melted butter, cinnamon and vanilla until smooth and creamy. *You can roast the squashes in advance by halving them lengthwise, scooping out the seeds and roasting them in a 400 degree oven for 45 minutes or until softened. 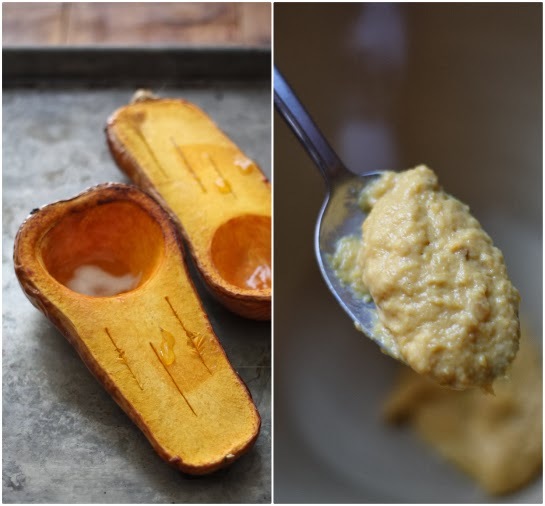 Scoop the tender squash from the peel into your food processor or blender for the puree. 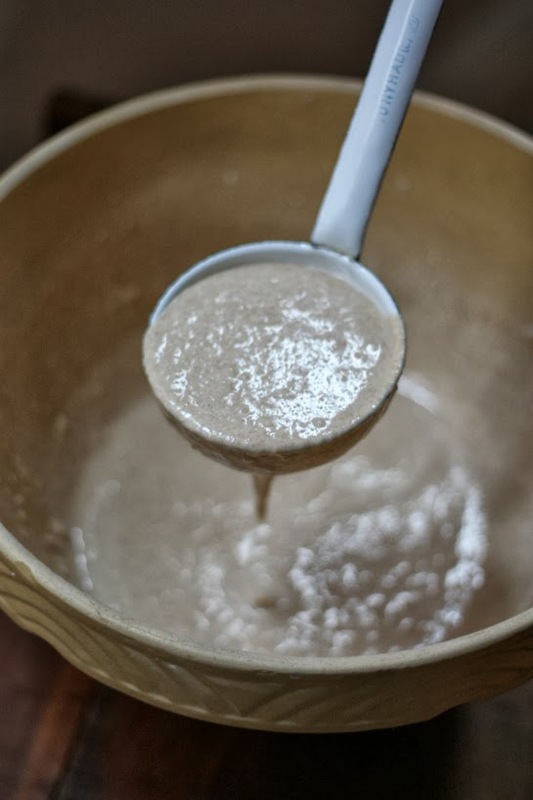 Mix together remaining dry ingredients (flour, baking powder, sugar and salt) in a bowl, then combine the remaining wet ingredients (egg, milk and butternut squash puree) in a separate bowl. Slowly incorporate the two together, mixing to combine until smooth. 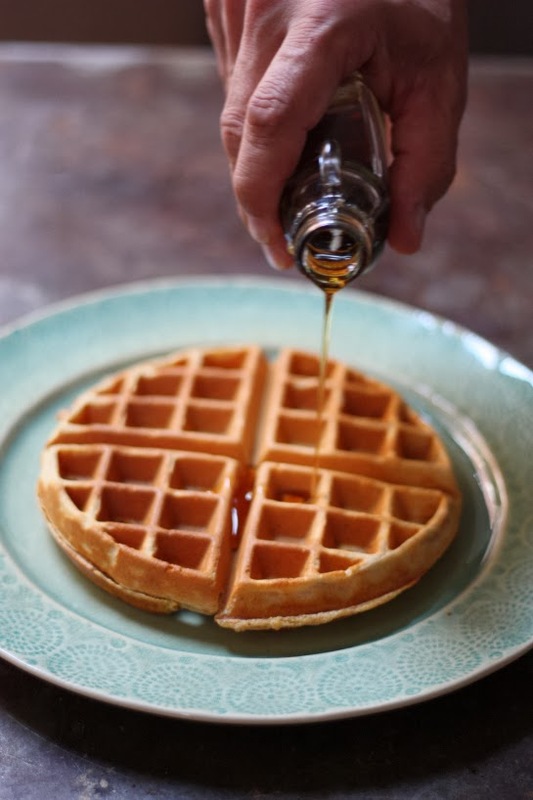 Ladle the batter into your preheated and oiled waffle iron. We went with a simple topping of pure maple syrup and a dusting of powdered sugar. You could go all out and top with more butter, whipped cream and pecans, perfect for fall. 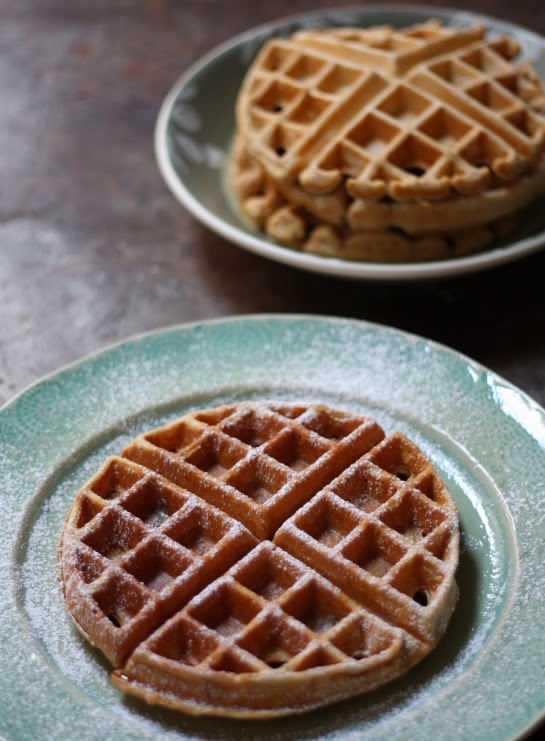 Freeze leftover waffles in a zipper bag to preserve and save for a busy weekday morning. These waffles make for such a seasonal welcome to fall and are surprisingly simple to make from scratch. If you're in RVA, be sure to check out Origin's Farm at your local market and pick up a few butternut squashes or sweet potatoes with a dozen eggs for your next Sunday brunch. 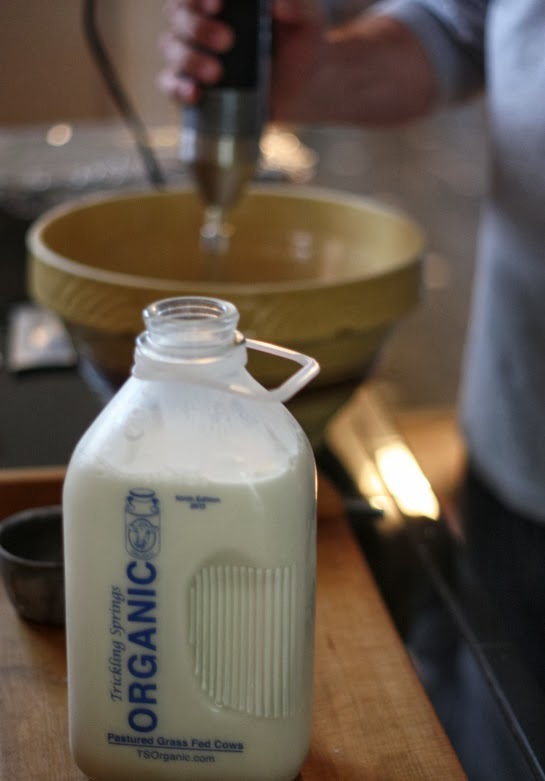 Produce for this recipe was supplied on behalf of Origins Farm, whose mission we adore. 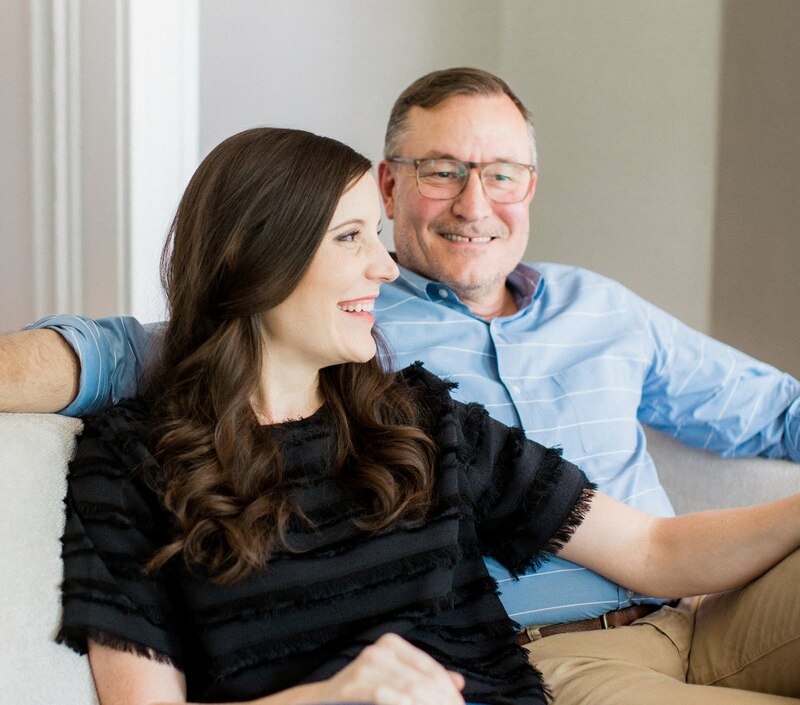 Learn more about the farm, the people behind it and how excited we are about our relationship with them here. These look delicious! How many waffles can you make with one batch of batter? We made 6-7 full size waffles. We hope you enjoy them! Found your website while searching for savory waffle recipes to use in my new waffle iron. Will try it out tomorrow - but in the meantime, just want to say that you two make a very cute couple!